Grain Tasting Bar is the downstairs cousin of the uber amazing Mosaic (check out my post on Mosaic RIGHT HERE!) at the Hyatt Regency on Burrard st. Offering up an upscale feel and an outstanding food and beverage lineup it’s easily made it into WFLBC’s short list for places to grab a drink downtown. 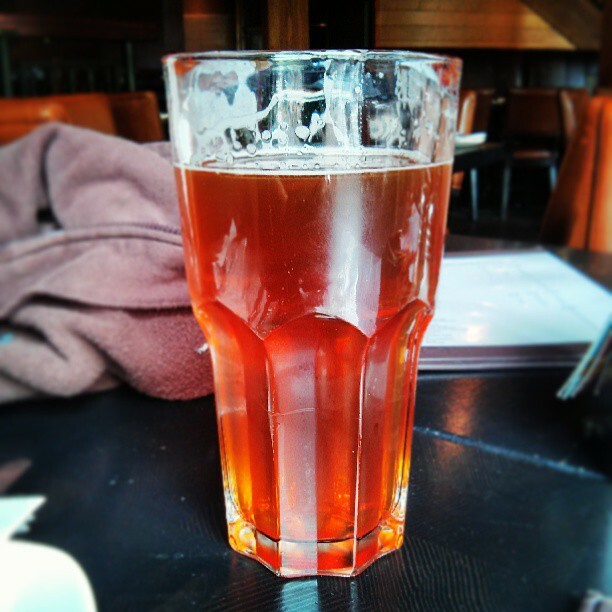 After a manly afternoon of shopping at Lululemon on Robson street I needed a beer, you know, to man up a little. Chef Thomas Heinrich has created a very nice menu for Grain. It is less up market than Mosaic but still has some amazing dishes that you won’t find at just any hotel bar. Add the great food to an impressive cocktail list and a very nice craft beer selection and Grain is hard to beat. It’s just steps from the Skytrain too? Stop it! It’s not fair to the other bars!! AND you can also order off the menu from Mosaic Bar and Mosaic itself. I’m really starting to wonder why I haven’t just set up a bed in the corner and moved in. 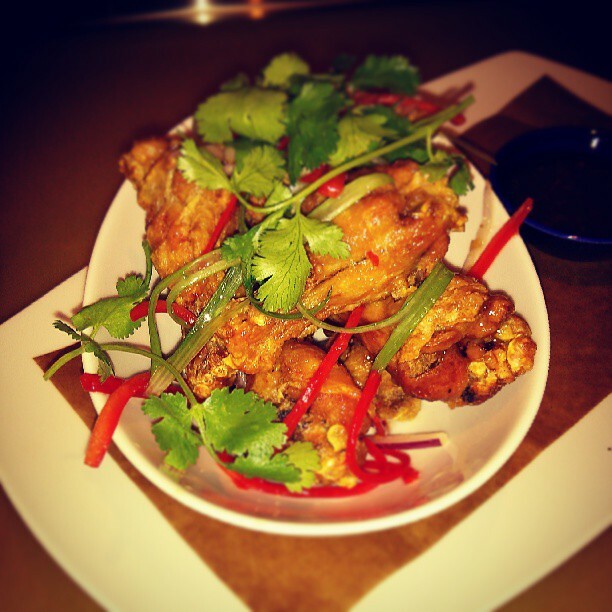 For starters I had the Spicy Thai Chicken Wings (from the Mosaic Bar menu). They were big, hot and juicy with all the sweet and savoury flavours you’d expect from a Thai Chili dish. There’s also a subtle heat that sneaks in after a few chews. The plating is also very nice, something Chef Heinrich takes a lot of pride in. 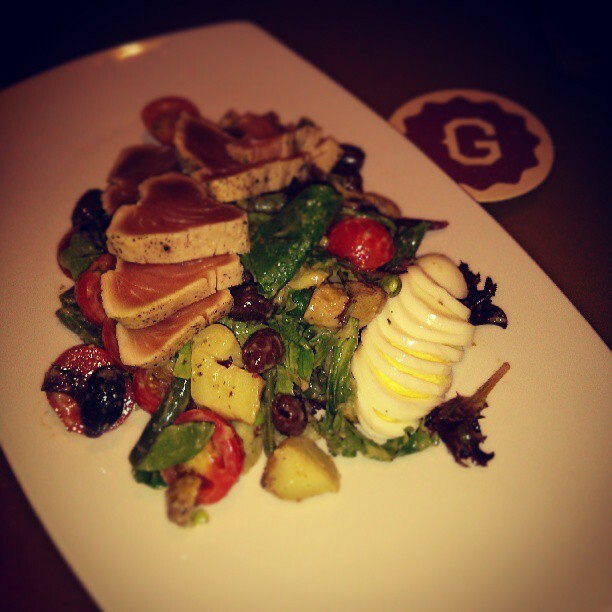 For my main I had the AMAZING Albacore Tuna Nicoise Salad from the Mosaic Lunch Menu. Perfectly seared albacore tuna, green beans (aka haricot vert if you’re French), olives, hard boiled egg, potatoes and fresh tomatoes over baby greens with thyme vinaigrette. A classic Nicoise salad beautifully presented. 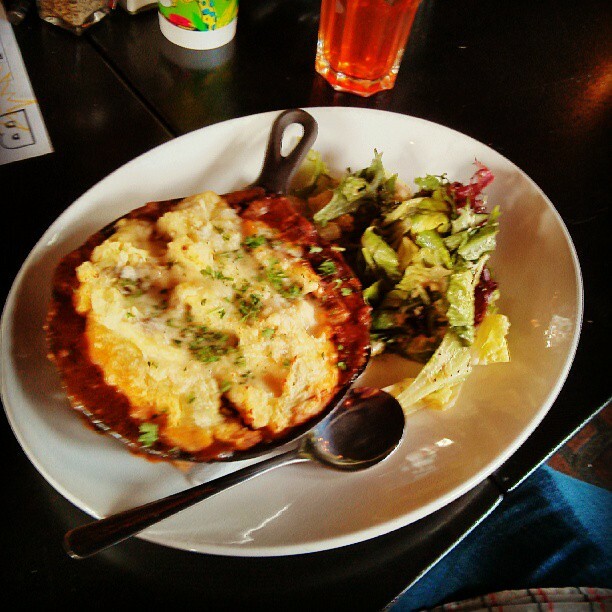 I would order this again, and again, and….again. I washed this all back with Parallel 49 Brewing’s delicious Hay Fever Spring Saison, yum. Grain is good, really good.